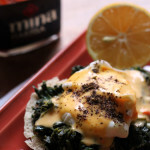 Potato waffle eggs florentine is brunch at its best! 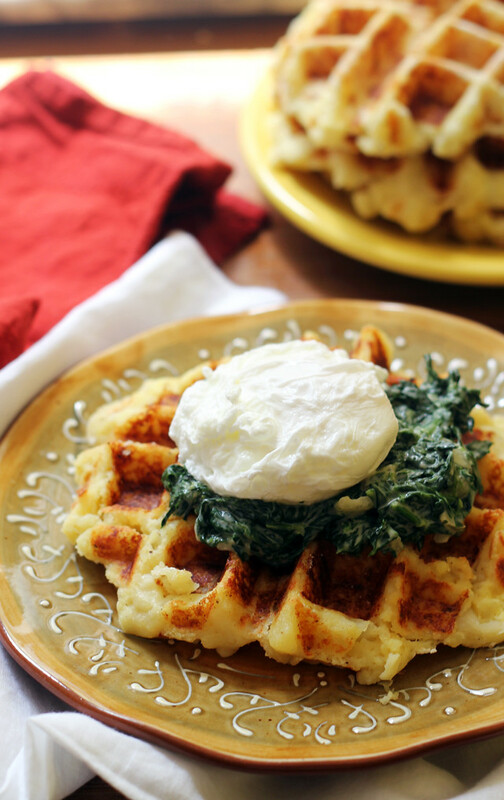 Waffles made from leftover mashed potatoes are topped with creamed spinach and a poached egg to make a meal to remember. Savory waffles are where it’s at. Except for the time I attempted a kale stuffed waffle…there’s a reason why those never made it to the blog. And that reason may be that we ended up pulling the kale out piece by piece while standing over the garbage, topping the remaining waffle bits with maple syrup, and pretending the whole thing never happened. I mean, they’re made from leftover mashed potatoes! So obviously we’re off to a good start. And then they’re topped with creamed spinach, which basically makes them a superfood by association. With the final layer being a POACHED EGG == the stuff that all my runny yolk dreams are made of. I’m not sure that I’ll ever look at another eggs benedict the same way again. And I’m entirely sure that I’m totally okay with that. Guess what, guys? This week is WAFFLE WEEK!! And we are celebrating big time with all sorts of waffle creations. Check out what everyone else brought to the breakfast table! For the waffles, heat a waffle iron according to manufacturer's instructions. 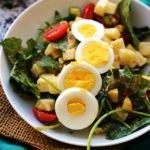 In a medium bowl, whisk together the potatoes and egg. Dust a work surface with flour. Form the potato mixture into six patties, coating both sides with a light dusting of flour. Cook in the waffle iron until browned and crispy. For the creamed spinach, wash the spinach and then place in a large pot over high heat. Cook, covered, stirring occasionally until wilted. Squeeze out the excess liquid in the spinach and coarsely chop. 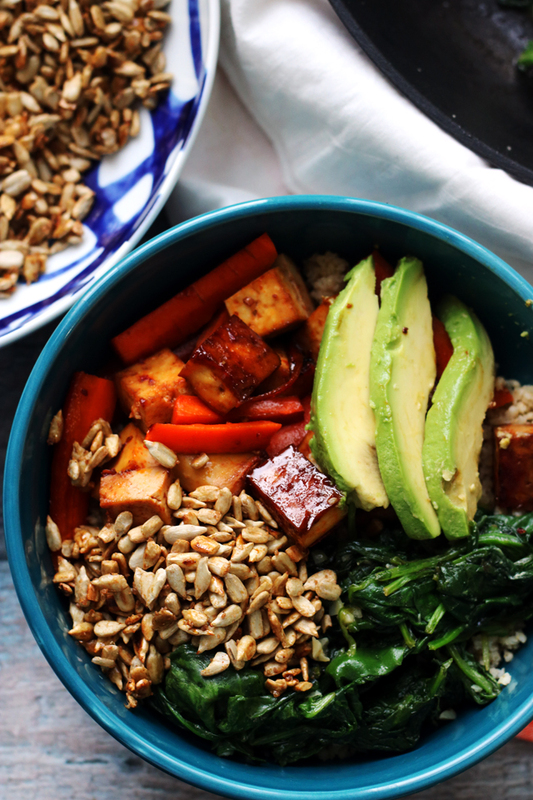 Wipe out the pot you used to make the spinach. Heat the cream in a small saucepan over medium heat, until warm. Keep warm. Meanwhile, cook the onion in the butter in the large pot over medium low heat. Stir occasionally, until softened, about 6 minutes. Whisk in the flour and cook, whisking constantly, about 3 minutes. Slowly whisk in the warm cream. Simmer until thickened, whisking constantly. Stir in the spinach and salt and black pepper to taste. Serve the waffles topped with the spinach and a poached egg. I am so sad that the kale waffles didn’t work out. That sounds like it would be the perfect breakfast for me. Speaking of perfect….look at that egg. Perfect runny yolk! I love making potato waffles but have never tried mashed potatoes. A wonderful idea Joanne. This dish looks ridiculously delicious!!!! As soon as you mentioned these by name, I KNEW I need them in my life. A runny poached egg, potato waffles, florentine. Get in my belly. 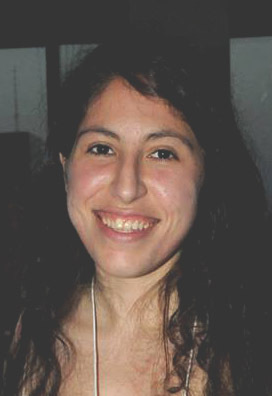 Thank you so much for participating, Joanne! You have no idea how happy I am that you shared this! 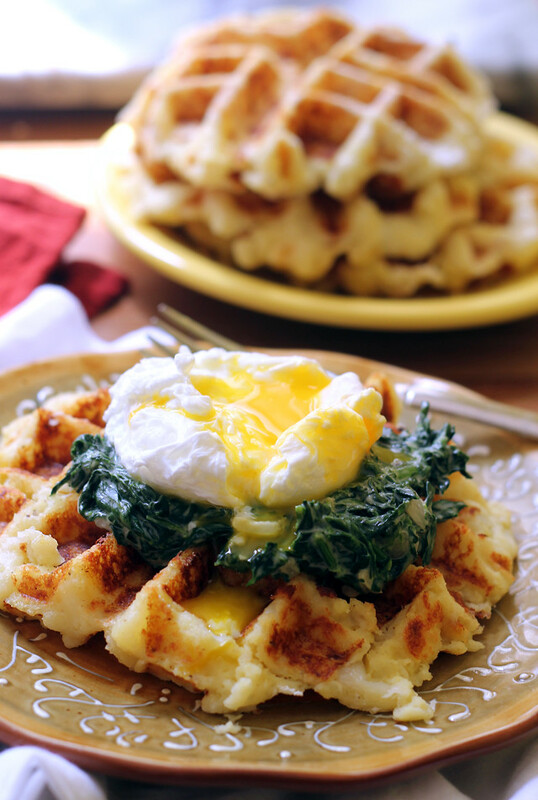 Waffles and egg florentine…why didn’t I think of this combination? It looks fabulous! Ooooh! Now these I can get on board with. 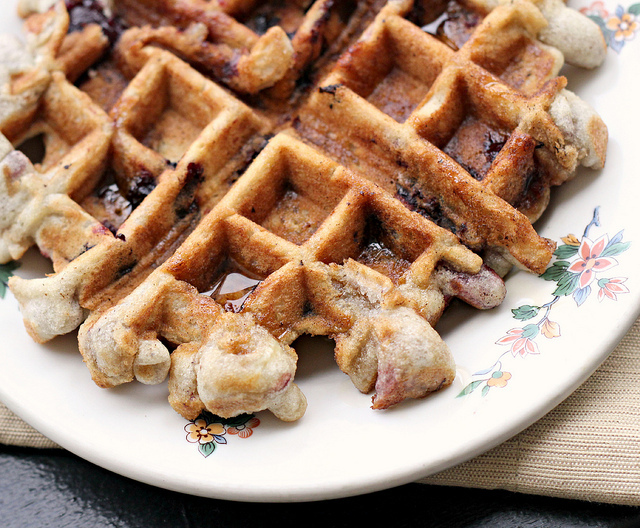 I didn’t even realize it was waffle week, but just happened to make blueberry Belgium waffles last night! Ha ha. Hello dream waffles!! These look great! sometimes i think i might be able to give up meat, but i’d never be able to say goodbye to eggs. 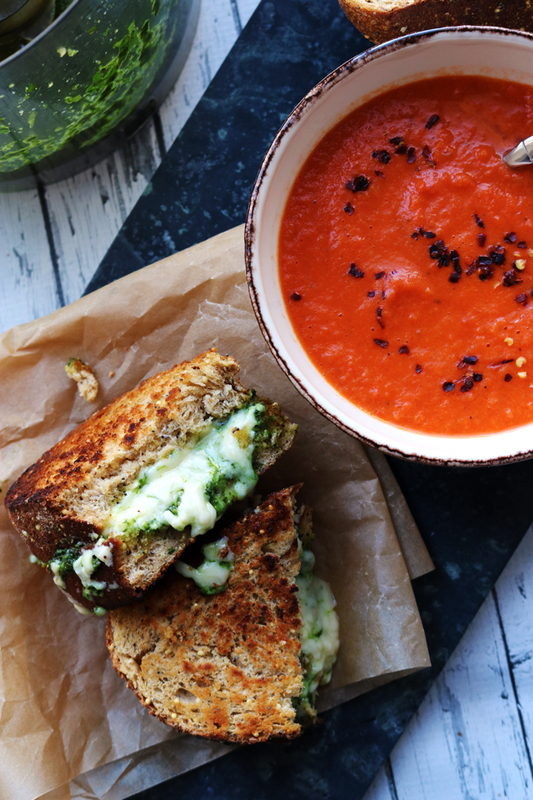 this looks like an amazing meal! Why do I not have a waffle maker?! I want to make these! This looks better than any brunch out at a restaurant!! I basically need to eat this NOW!!! OMG best breakfast ever!! Potato waffles? I die. Poached egg? I double die. Waffle WEEK?! I triple die. Ugh, I want this savory experience all up in, on, around my face hold like maaaad! 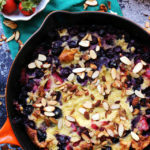 We love brunch around here and these will make the perfect addition to our brunch table. Potato waffles???? With spinach. AND a runny egg? I can’t even stand how much I love this. Mashed potato waffles are definitely the best! And the eggs florentine on top!! Absolutely love this combination, Joanne!! I still haven’t fully unpacked in my new place yet. 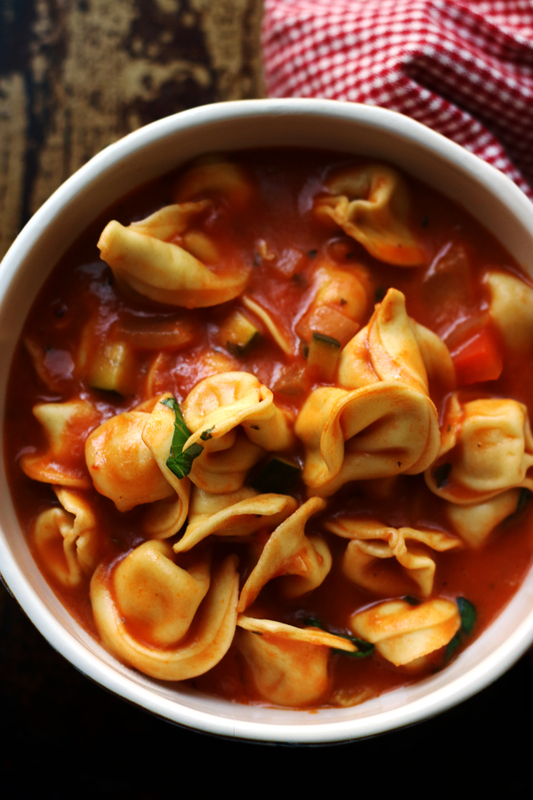 Want to come over and make some of these lovelies? 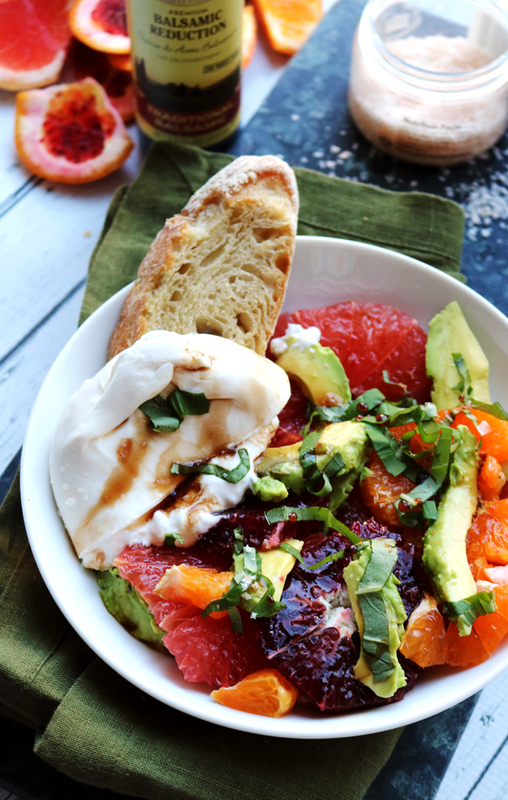 These are absolutely going on my next brunch menu…..I am drooling here. I love Irish potato bread so potato waffles sound like a logical next step! I want this for breakfast, lunch and dinner. I shall live and die on mashed potato waffles because come on! Look at that runny egg. Potato in waffle form is genius! 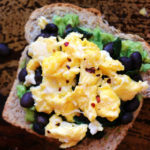 Especially topped with that gorgeous runny yolk. Yes! What a fabulous use for leftover mashed potatoes – or sweet potatoes! Oh my … I think my heart just skipped a beat! 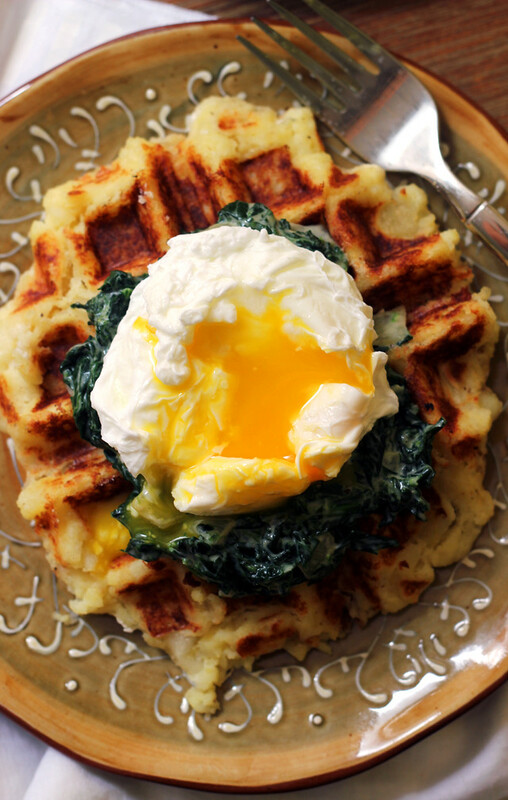 I am 100% down with these potato waffles, and then you went and topped them with spinach and a poached egg … mad genius! What a beautiful waffle, and it sounds so tasty too! 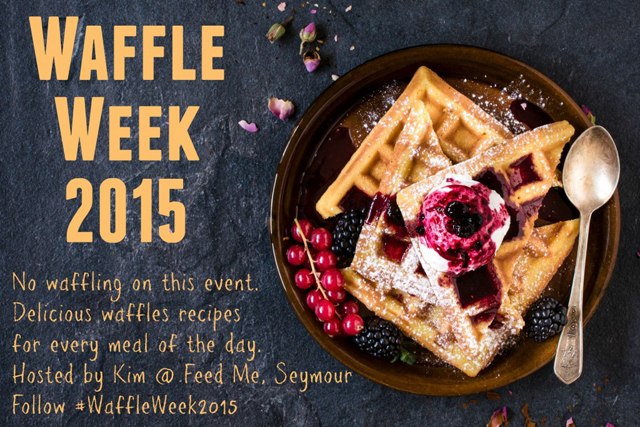 So excited about waffle week! Love waffles! Your potato waffles look amazing Joanne! Oh wow- that egg! Pinning! These are genius! I’m so impressed and glad they worked out for you! Now I think I need a better waffle iron! I really need to make more savory waffles! These look incredible! I am in love with savoury waffles these days. And these potato waffles sound amazing. I’m tempted to cancel my plans tonight just so I can read all of these amazing waffle posts. What a great week! I could eat this for breakfast everyday Joanne, yum! Your poached eggs look so much prettier than mine. I definitely need to work on those. LOVE your waffles though. I will definitely put these on the #meatlessMonday that we do. Yum! 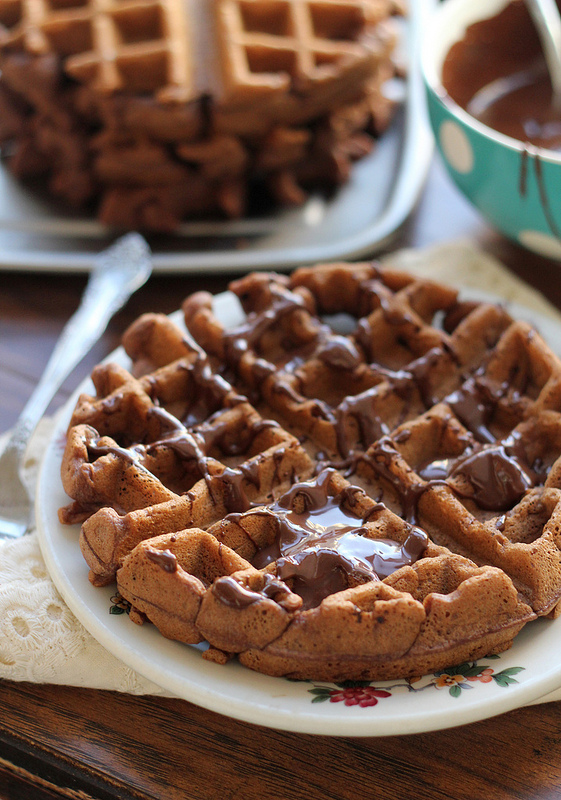 What a delicious idea for waffles ! 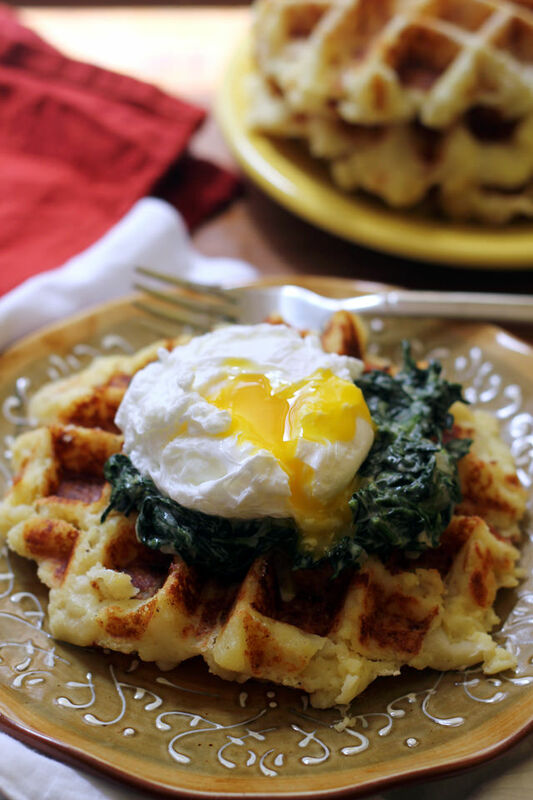 Never thought of using leftover mashed potatoes to make waffles – and love the spinach and egg on top- yum! OMFG. <— also a technical term, and also my reaction to these on Instagram earlier, and again now. Oh man yet another awesome savory waffle for this group! I love this potato version especially with the egg on top. Mashed potato waffles are simply brilliant Joanne! I cannot wait to try them! And that egg yolk…fantastic! Potato waffles are amazing, I love savory waffles. pinning to make later. I support waffles in all their forms-this looks so scrumptious! 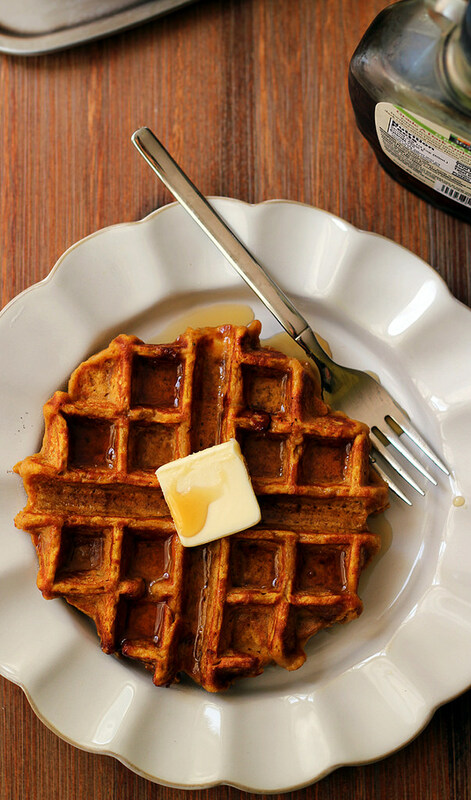 I love these savory waffles! So sad that the kale waffles didn’t turn out but I think these are even better! I mean look a that runny egg – it’s just perfect! Now these on the other hand are incredible! What a great way to repurpose leftover mashed potatoes. I LOVE savory waffles but clearly I have been missing out on making them from potatoes. Light bulb moment. These look fab. Made these last night with leftover mashed potatoes, they were amazing! I usually don’t like potato pancakes because of the gooey texture and oil but this way they are crispy and delicious.